There is so much more to see inside the supermini’s cabin. Volkswagen has opted for a simple yet effective dashboard. As a result, all of the instruments you need to get the car from A to B are laid out clearly — the dials and switches are large too for ease of use. Need to pack a lot into your new Polo? Not a problem, as the supermini’s boot has a 280-litre boot, which expands to 952 litres once the split-folding rear seats are rearranged. 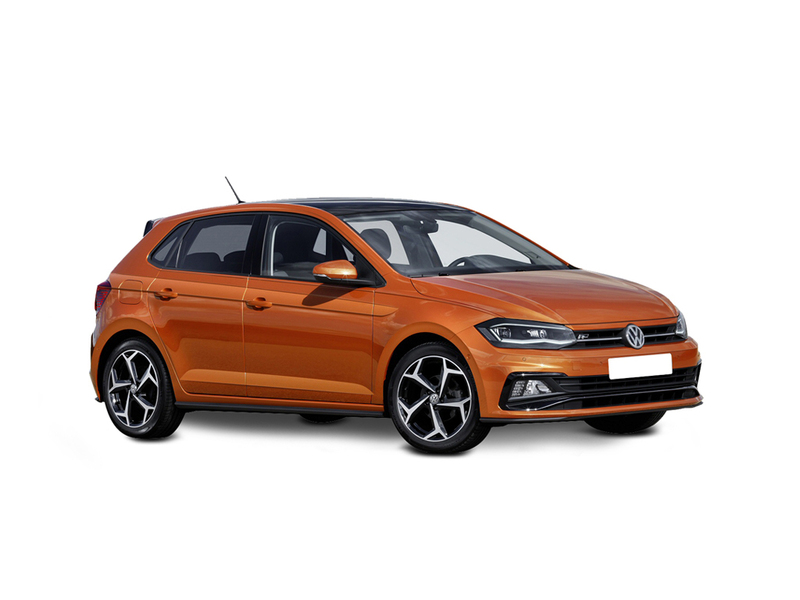 Browse our superb range of new Volkswagen Polo cars below and don’t forget to check out our new Polo offers to see the fantastic deals and low monthly payment options we have available on this supermini. If you regularly commute around busy city centres, the new Volkswagen Polo is an ideal choice for your next car. Instead of undertaking an entire design overhaul, the new Volkswagen Polo stands out for its smart and understated style. Upon first look at the supermini’s exterior, you are likely to spot the car’s sharp bumpers, redesigned LED headlights and a fresh chrome strip that strikes through the grille. The car screams of quality thanks to its tight shut lines throughout the chassis. Let's get the details right... Select any additional options and accessories for your Polo. Now with up to £1,250 deposit contribution. 5.2% APR representative. Drive confident. The small but tough New Polo combines stylish looks with safety and excellent efficiency and economy value. With its dynamic design and luxurious interior the New Polo stands out from the crowd.